Clearly it’s sequel week. 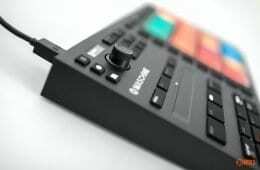 First was Novation’s Launchpad MK2, and here is Reloop’s MK2 offering courtesy of a reworked controller. The Beatmix 2 MK2 appears to be a cosmetically enhanced affair, adopting a more stealth appearance and generally looking better. MIX BEATS OUT OF THE BOX. The Reloop BeatMix 2 is a performance-oriented 2-channel pad controller for Serato. 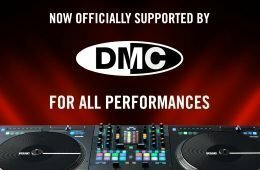 Both companies have teamed up, to develop a ‘fun to use’ 2-Channel controller for the worldwide popular DJ software Serato to work seamlessly plug ‘n’ play: Connect and start mixing. 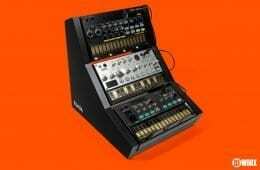 The rubberised pad section is the place for trigger action and creative ideas in the mix: The 3 cm drum pads are used to control cue points, trigger loops, select various loop lengths, and also trigger samples. Any danger of confusion is ruled out: The colour-coded trigger pads give visual feedback regarding status and mode selection – this way you will always be in control, especially in dark surroundings. The high-quality studio FX by iZotope can be creatively manipulated within Serato, thanks to two separate FX units, each one equipped with three rotaries and an endless encoder. In addition to the FX selection and the combination of three FX simultaneously, the Beatmix 2 also allows you to adjust the FX quantization. Beatmix 2 is a winning package combining extensive mixing functions and a well thought out performance pad section, all at a very attractive price. Same price, same features, but the Beatmix 2 MK2 looks so much better. If only they’d made it look like this from the start.